With a state of art vision testing equipments we make the entire exercise a pleasurable one. 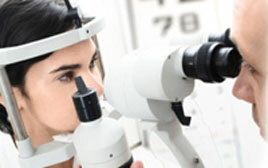 With 2 eye screening rooms for convenience our motto is to give you VISION WITH COMFORT. All your needs for the spectacle eye testing and contact lenses is taken care under the observance of qualified optometrists. Proper lens and frame care ensure clear vision and comfortable wear. Why do my glasses get dirty so quickly? Oily fingerprints, specks of dirt and tiny scratches can reduce the clarity of your lenses. For clearer vision, We advise you to clean your lenses twice daily. We recommend wetting the lenses, especially plastic lenses, before cleaning to avoid scratching them with a dry cloth. We advise our customers, who wear prescription glasses, to dip their lenses in warm, soapy water, then rub them gently with their fingers. Rinse to wash away dirt and oil. A gentle dishwashing liquid makes a good cleanser, but people should avoid using household cleaners or disinfectants, acetone, or soaps with cream. You are advised to wipe lenses gently with a soft, lint-free cloth. The cloth should be cleaned often. We suggest that avoid rubbing your lenses with paper towels, silicone tissues, facial tissues or old rags, which may have embedded dirt. These materials can scratch your lenses. We Provide you micro fiber cleaning cloth. These super-efficient cloths are machine-washable. Experts recommend them for cleaning binocular and video-camera lenses, too! Do I need to clean my frames? We advise you to clean your frames regularly. You can use the same method to clean both lenses and frames. The temples need to be cleaned often, because they rub against the skin and accumulate oils that can degrade the decorative finish of frames. How do you care for lenses with an antireflective coating? Lenses with antireflective (AR) coatings used to be hard to clean but not anymore! Experts highly recommend the new generation of AR coatings, which include an antitarnish coating that reduces spotting from greasy oil and water droplets.All our AR coated lenses have the new generation AR Coating. We have provided you one ultra-fine, micro fiber cleaning cloth, specially adapted for AR coatings. These incredibly soft cloth is 10 times finer than silk and 30 times finer than cotton. It’s wedge-shaped micro fibers trap grease, dust and even bacteria. Synthetic micro fiber cloths are longlasting and machine-washable. How can I make my glasses last longer? With proper care, your glasses will last longer and feel more comfortable.To avoid twisting which can alter frame shape, We advise you to use both hands when putting on and taking off eyeglasses. Gently grasp the temples (arms) midway with equal pressure, and carefully push the glasses over the ears. 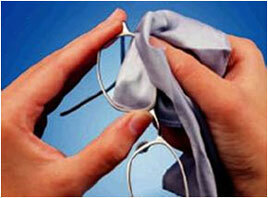 To remove eyeglasses, using the same grip, carefully slide the glasses forward. This movement puts little stress on the frame and prevent misalignment. How often should I have my glasses adjusted? 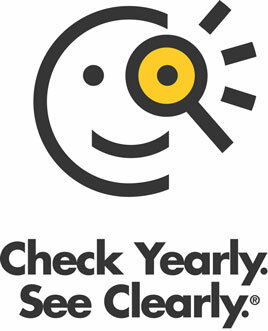 We advise you to have your glasses adjusted by our expert technician, occasionally or as needed. If the glasses are out of alignment, Please don’t try to bend or do any thing by yourself, which may make glasses further out of alignment. How should I put down my glasses? To prevent damage, We advise you to close your frames before laying them on a table or other surface. We caution you never to lay your glasses lens-side down. To prevent accidental scratching or loss, We advise you to store your glasses in a case. Never put glasses in a purse, sports bag or other tote bag without proper protection. Photochromic lenses should be allowed to lighten completely before storage. How can I keep my frames in good shape? Frames will last longer with proper maintenance. We advise you to check your frames periodically for loose screws or temple misalignment. We advise that bedroom floors and bathroom counters are no place to store glasses. On the floor, glasses are easily forgotten and stepped on. In the bathroom, AR coatings can be damaged by hair spray, and cosmetic oils easily dirty lenses. You are also advised against wearing glasses on top of your head, as this method can misalign the frames. We suggest that everyone keep an extra pair of glasses handy in case of emergency. Every season there’s something new-whether it’s an Shoes, clothes, Jewellery etc.-to instantly rev up your wardrobe. But what about your eyewear? Is it keeping pace with the rest of your style? If you can’t remember the last time you bought new glasses, it’s time to take a second look. Your eyewear speaks volumes about you—especially when it comes to meeting new people. According to the Vision Council, approximately 75 percent of all people, notice a person’s eyewear when they first meet. When you talk to some one, you make an eye to eye contact. And if you are wearing eye glasses, it will get attention of the person with whom you are talking. So put your best face forward! We offer these tips of the trade to keep your eyewear as current as the rest of your image. From cat eyes to professor specs, the sky’s the limit when it comes to today’s fashionable eyewear. Bright color and sleek styling offers a sporty, playful look for both men and women, while a touch of leather or horn says “polished and elegant.” Some of the most beautiful new frames for women feature pearlized finishes, stone studded temples or matte black twinkling with a hint of silver or crystal. The recent explosion of style in men’s eyewear means men can move into new territory with ultra-light titanium, bold geometrics shot through with color, double bridge frames and retro-scholar specs. Choosing the lenses is as important as choosing the frame. The choice need not be strictly dictated by the ophthalmologist’s prescription; rather, the prescription is a starting point. Today, you can choose from a great variety of spectacle lenses. The same «POWER » can be provided by lenses that differ greatly in the quality of eyesight correction, the amount of comfort and convenience, esthetics, and, of course, the price. Some lenses provide increased image quality; some provide quality below the average. Some lenses will quickly make the eyes weary, others will protect from tiredness. Some lenses will add to the impression made by a stylish expensive frame, others can ruin it. Today, high-quality spectacle lenses are specially designed and manufactured in such a way that the aberrations are minimized. Older models usually have much more noticeable aberrations. A lot depends on the production culture and technological discipline-in the production of both the material and the lenses themselves and on the region where the lenses are manufactured. Different man-hours, different professional levels and manpower costs, different types of factory equipment (which can greatly differ in price) — all of this influences lens quality and, obviously, the price. In the market you can find lenses with the same powers that greatly differ in prices. In many cases (except for obviously defective items, of course) these lenses might look exactly the same. However, the price difference indicates the difference in quality of vision correction provided by these lenses, and, in the end, the difference in the level of your comfort and satisfaction with the spectacles. Now, advances in lens technology have created a new world of options for clearer vision and a cleaner look. Thick lenses are a thing of the past. New high index lenses make stronger prescriptions available in thinner lenses — offering more frame and fashion options than ever before. Anti-reflective lens technology, which eliminates the annoying glare on lenses, is a new “must-have,” allowing people to see you, and not your lenses. Diversify, diversify, diversify Although eyewear is often a necessity, it’s also a fashion accessory. One pair of shoes would never do, so why limit your choice to one pair of glasses or sunglasses? Your look changes from day to day, so it makes sense to have a collection from which to choose. Invest in a polished, professional pair for career and then a more casual, colorful pair for weekends and high-glam frames for nights on the town. Sports enthusiast? New technology and streamlined styling offer cool, protective eyewear for any sport. Knowing what eyewear suits your face shape will go a long way in enhancing your look. In general, a face with soft curves is flattered by the contrast of a slightly angular or geometric frame, while an angular face gets softened by a more curvaceous (rounder) frame. For a youthful effect, try frames with a slight upsweep at the temple, as well as light cosmetic lens tinting to minimize fine lines. For the younger crowd, this is your time to shine, so play it up with trendy frames, rich color and intricate details. Don’t forget your sunglasses. Sunglasses are everyone’s favorite accessory and an effortless way to turn up the fashion heat while providing important sun protection for your eyes. Oversized shades and wrap-around frames up the glamour quotient in classic, dramatic black or bright, popping colors, while more pared-down styles dazzle with delicate details or status-rich logos. Adapted aviators and modified Wayfarers put a modern spin on these already-perfect classics.